Let’s be honest… there are some days when eating your recommended vegetables isn’t going to happen. Busy schedule, lunch date at a sushi bar… there are a million reasons to choose from. On days like those, I try to be preemptive and have a smoothie for breakfast. Sunshine = smoothie time for this girl, and the added heat (and humidity, yuck) makes it easy to choose something cold and refreshing over a warm bowl of almost anything. This smoothie packs in antioxidants, revs up your metabolism, and sneaks in a half cup of spinach along with ripe summer peaches. The perfect breakfast on-the-go, snack in the afternoon, or even a healthy dessert. Bring the 3/4 cup water to a boil and pour into a coffee mug. Steep the tea bag (or two small tea bags) in the hot water for 3-4 minutes. If you normally add sweetener to your tea, add that now but half of what you would normally use. I may have snuck a half of a Splenda packet in there. After the 3-4 minutes, add in 1-2 ice cubes to bring the temperature down. Strain the tea bags and discard. Use a knife to remove the skin of the peach and discard the pit. 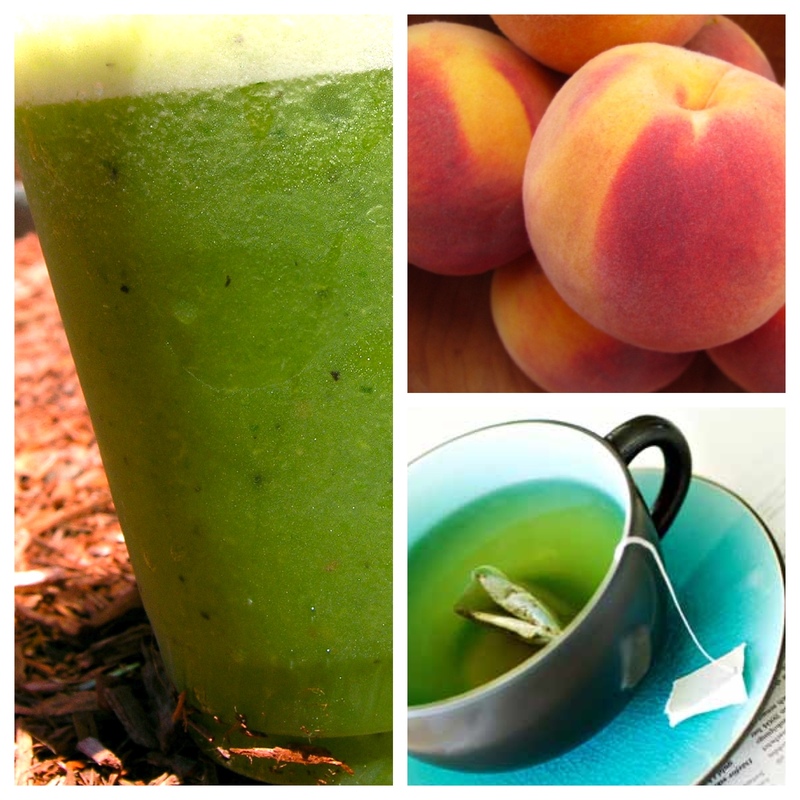 Put the peach into a blender with the banana, spinach, and green tea. Gently blend until everything starts to incorporate. Add 3/4 to 1 cup of ice and blend until everything is completely incorporated.